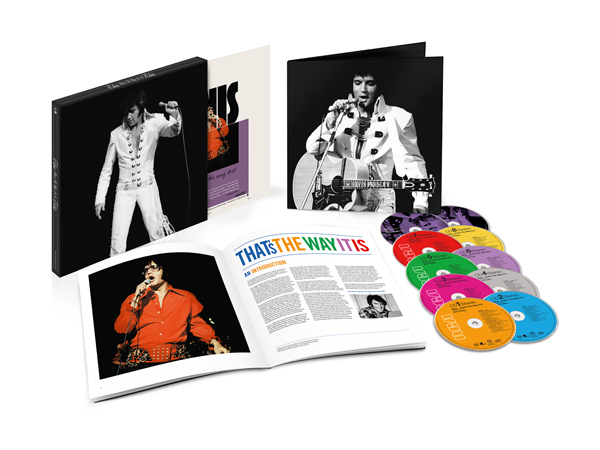 Elvis: That’s The Way It Is (Deluxe Edition), the 8CD/2DVD box set featuring the King’s 1970 album and MGM concert documentary, is in stores now! The Deluxe Edition includes six complete shows recorded and partially filmed by MGM, along with outtakes, rehearsal highlights and more, plus the original theatrical documentary and the re-edited and extended DVD version from 2000. The 2CD Elvis: That’s The Way It Is (Legacy Edition) is also in stores now. Get your copies today!